Congratulations – you've found the person you want to spend the rest of your life with! And what better way to celebrate than with your dream destination wedding? Whether you're after an intimate beach ceremony, or a romantic rural retreat, there's just so many amazing places to host your happy ending. With a huge collection of luxury villas and Holiday Resorts available, you and yours can celebrate your marriage in style and elegance. 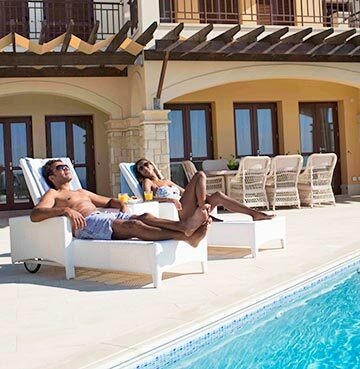 Double up the big day as a villa holiday and soak up blissful, luxurious living for as long as possible. Now that's how to start married life! 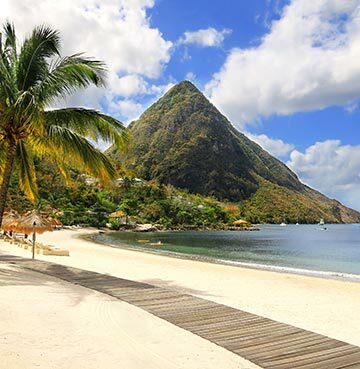 You'll be hard pushed to find a destination as strikingly beautiful as St. Lucia. The perfect place for brilliant beginnings, your wedding guests will be wowed by the famous Piton Mountains, dramatic landscapes, lush rainforests and pristine palm-fringed beaches. Natural delights are the backdrop to one of the most romantic spots in the Caribbean, and all that romance means you're spoilt for choice when it comes to the setting of your big day. 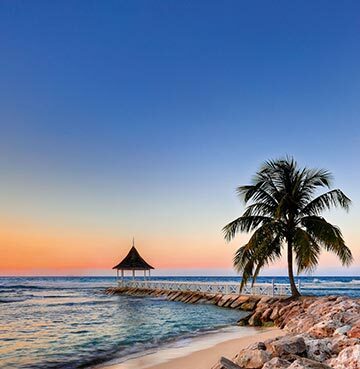 Cap Maison, The Landings Resort and Windjammer Landing Resort all offer up paradisiacal scenery, enchanting sunset views and elegant and unforgettable facilities. Whether you're after a hilltop garden, gazebo by the sea or a barefoot ceremony on the beach – anything is possible in St. Lucia! And of course there's plenty of spa facilities thrown in for good measure, because what bride doesn't want to be pampered? You can't get more sophisticated than the seductive shorelines of the Amalfi Coast. Vibrantly painted cliff-edge towns perch on dramatic cliffs poised over azure waters and dark-sanded beaches below. This prestigious coast is dotted with wedding venues and some of the most beautiful panoramic scenes in the world. Choose between private terraces, pergolas, landscaped gardens and waterside nuptials in this one-of-a-kind dream day destination. Say 'I do' in picturesque Positano with its cluster of pretty pastel-shaded buildings. Or how about romantic Ravello? This small slice of heaven commands truly breathtaking vistas – your guests will hardly believe their eyes! Stunning Sorrento boasts sunny seascapes and serenity. 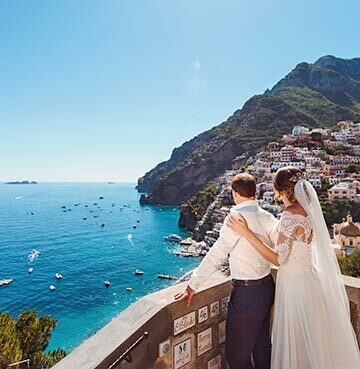 Wherever you choose for your special day, there's not a bad seat in the house when it comes to the Amalfi Coast. 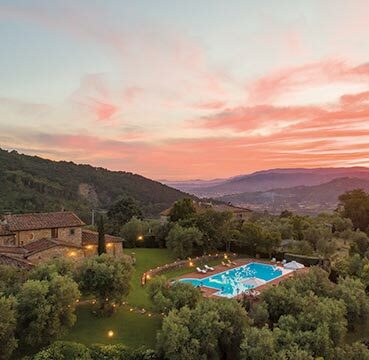 One of the world's most popular wedding destinations, it's no wonder that some of Italy's finest wedding planners operate in Tuscany. Dreamy hills accessorised with vineyards and hilltop towns are the perfect backdrop to your big day. A menu of delicious seasonal foods and wine, mixed in with local culture and tradition makes for an unforgettable experience. Breathe in the fresh country air, and savour the views of rolling hills, serene lakes and plunging valleys. Did you know our very own Villa Dell Angelo, perched on the western slopes of Mount Albano, is able to host weddings? Surrounded by forest covered hills it's authentic, charming and private. Featuring antique decorations and furnishings, it's a picture-perfect venue for a rustic boho wedding. 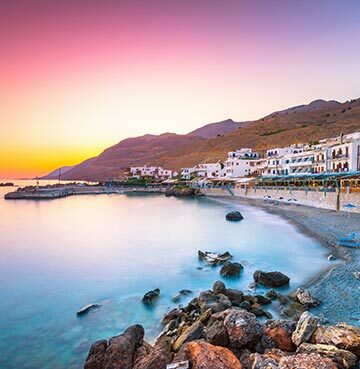 The relaxed atmosphere and bewitching scenery of this Greek island are a match made in heaven – much like the two of you! Sunshine lasts (almost) the whole year, so you won't need a Plan B for bad weather. A mix of livelier resorts and untouched areas means there's something for every couple. Soak up the rays on sun-drenched clifftops, or breathe in the fresh air of breathtaking mountainscapes. Picturesque churches, barefoot beach ceremonies, village vows – however you picture your big day, Crete is an island of endless possibilities. An evening of flavourful delicacies and Cretan cuisine coupled with excellent local wines means you two aren't the only winning pair of the day! 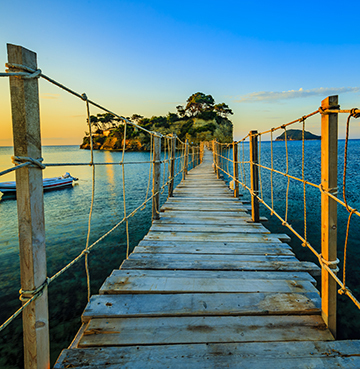 Long, sandy beaches and crystal clear waters line the luscious island of Zakynthos. Peaceful coves surrounded by dramatic cliffs are illuminated by dazzling sunshine. A tranquil treasure and glittering gem, you can't go wrong with a Zakynthos wedding. Countless venue options are on offer, from private gardens, bohemian beachfronts and ocean view terraces to traditional churches in Zakynthos town itself. A popular and unique setting is the stunning Cameo Island, just off the coast of Laganas. Idyllic for an intimate ceremony, it oozes peace and seclusion – so it's all about you and your nearest and dearest! 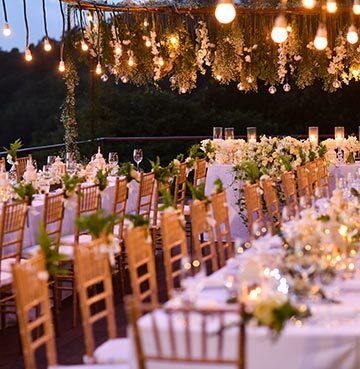 Accessed by a rustic wooden bridge that stretches over the gorgeous azure seas below, the island is so stunning you'll be pinching yourself in disbelief as you make your way over to the ceremony. 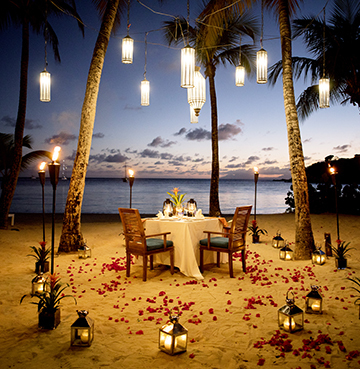 Your very own personal paradise, the dream wedding mission is complete. 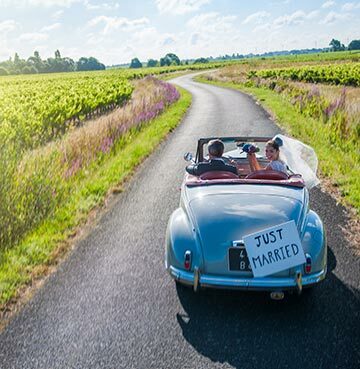 As wonderful as weddings are, they can also be a stressful undertaking for a newly engaged couple – especially those looking to arrange one abroad! 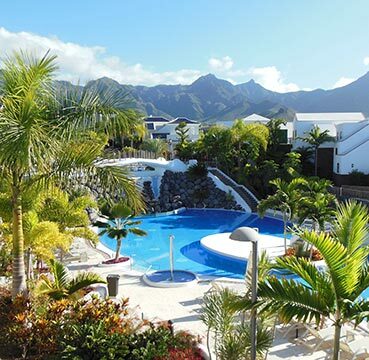 If you're craving the privacy and freedom of a villa, but want the ease and hassle-free benefits of a hotel, then a Holiday Resort could be just the answer you're looking for. Relax in the knowledge that everything's taken care of, and all you have to focus on are the 'I do's'. Setting the tone for sophisticated romance, all-white villas and apartments nestle between coconut palms along a pristine crescent bay. Over 400 acres of property stretch out in the form of tropical gardens, two miles of golden sands, an equestrian centre and an 18-hole golf course. Half Moon Resort has legendary status, and is a huge hit with film stars and royalty alike! A whopping 10 possible venues are on offer for both ceremony and reception, from the beach to the royal pavilion – however will you choose? Guests will be kept busy with a whole host of watersports, tennis, an award-winning spa, horse riding, and a selection of signature tours including a day in the beautiful Blue Mountains. There's even a children's village for the little ones, so mums and dads can make the most of the word-class facilities and treat themselves to a rare relaxation day. 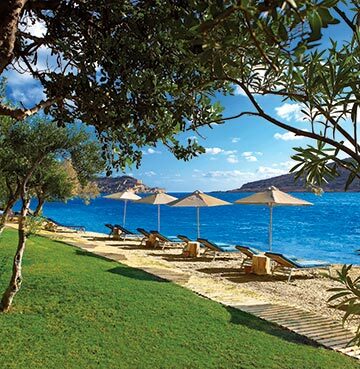 A magnificent stretch of sun-drenched coastline boasting stunning views over the gulf of Elounda. One of the most prestigious regions in Crete, this once little quaint fishing village is now the epitome of luxury and elegance. Here you can escape the ordinary and discover the magic of the UNESCO protected islet of Spinalonga – just across the bay from the resort. In true Holiday Resort style, Domes of Elounda offers up every imaginable amenity, a winning trait for a soon-to-be Mr and Mrs who have a lot on their plate! Spend a day (or two) topping up your pre-wedding tan on the natural sandy beach, or sun yourself by one of the five swimming pools. Indulge in one of the four delicious restaurants on site, or treat yourself to a treatment at the wonderful wellness centre – Soma Spa. Kitted out with an indoor pool, massage rooms, a sauna, hammam, beauty salon and fitness area. For those with kids, there's plenty to keep them entertained while you're busy being pampered! A crèche, kids club, adventure playground, two children pools, a watersports centre and an open air theatre to boot. Glorious and just the right amount of glamorous, this gently sloping resort sits on a hill surrounded by natural beauty and the sparkling Mediterranean. A place of peace and tranquillity, a wedding at Aphrodite Hills makes for a calm and serene atmosphere. Accommodation ranges from one bed apartments to private luxury villas, so everyone is catered for – from the bridal party to your great grandma! This area of Cyprus is the mythical birthplace of Aphrodite herself, so if it's good enough for the goddess of love, it's good enough for us. A whole host of venue possibilities are available across the resort, from barefoot beach ceremonies to private garden hideaways. The resort is adept in making couples dreams come true – so whether you're after an intimate affair or grand spectacle – you're sure to have your vision realised. Top of the range facilities will ensure guests will be indulged and entertained throughout their stay, and you'll only be a stone's throw away from one another. Perfect for any last minute shoe swaps or emergency spa appointments. The enviable location of Pine Cliffs Resort offers unrivalled views across the wild Atlantic Ocean – an idyllic backdrop to any wedding ceremony. Boasting 72 acres across dramatic cliff tops, the venue is especially designed to make the most of the naturally beautiful landscape. First class service and outstanding accommodation only cement the resort's five star reputation. A whole host of facilities will ensure you and yours are well cared for throughout your stay, with no less than five pools and eight restaurants and a world-renowned golf course. As if that wasn't enough, indulge in the award-winning spa and treat yourself to a revitalizing massage. Or better yet – enjoy your first treatment together as man and wife! 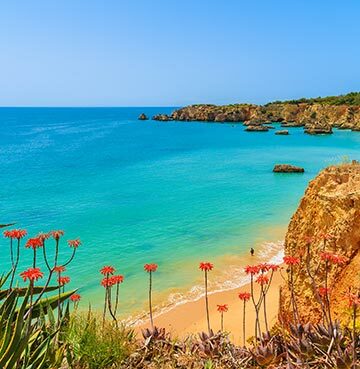 If you dream of tying the knot to the mesmerising sound of waves slowly breaking against the Algarve coastline, then look no further than Pine Cliffs! Your wedding is one of the most special days of your life, and a destination wedding can be one of the most magical ways to celebrate. To make sure everything runs as smoothly as possible, there's a few things you should consider before jetting off to your dream day. If its blue skies you're after, you might want to make sure your dates don't coincide with the Caribbean rainy season! Likewise, will some European destinations be too hot in the middle of summer? One of the biggest considerations are the legal practicalities. Be sure to do your research on local laws and details of marriage ceremonies abroad. Each country will have different rules when it comes to tying the knot. Some destinations may even require specific paperwork. More and more countries are legalising gay marriage so there's never been a better time to go global. Forget about limits when it comes to seeking out that special somewhere with that special someone. Love has no borders after all. Last but not least, travel out ahead of your guests! That way you'll have plenty of time to adjust your body clock, top up your tan, oversee any last minute details and most importantly – enjoy some quality time together before the madness begins. With all the amazing facilities on offer, you'll be spoilt for choice. Of course the fun doesn't stop once the big day is over. In fact, some might say it's only just beginning! Whether you choose to turn your destination wedding into a honeymoon, or you're looking for an excuse to jet off again – your home away from home is waiting for you. Whether it's a rural retreat tucked away from the world or somewhere in the heart of the action, savour the seclusion of your own private villa. Here's some of our top honeymoon picks, from the beautiful Cyprus to the picture-perfect Peleponnese.